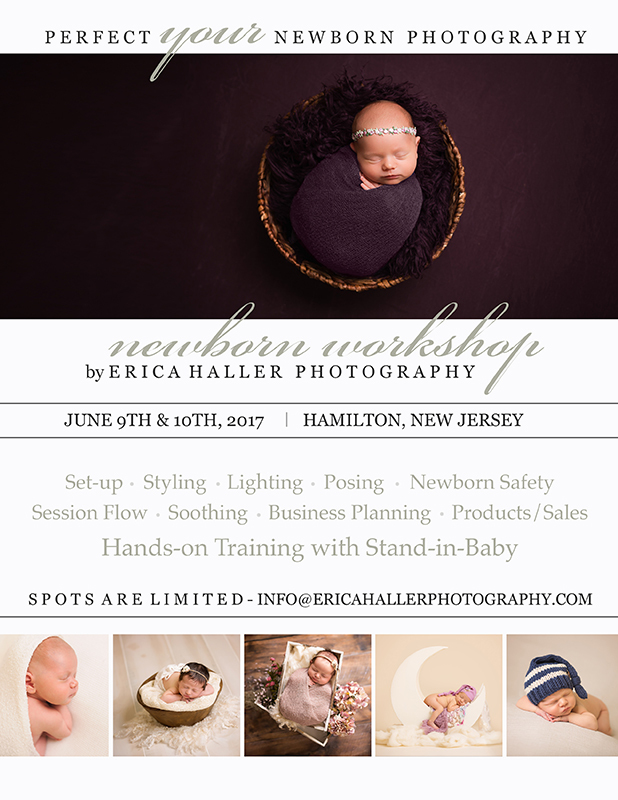 Welcome to Erica Haller Photography - a boutique, custom photography studio, specializing in newborn portraits. With our extensive training and years of experience creating unique baby photos, we are New Jersey's trusted photo studio for newborn photography. Your experience with our portrait studio is guaranteed to be top-notch. Relax in our comfortable baby photography room, while our talented (and patient) newborn photographers create beautiful images at your baby's first photoshoot. If your little one needs a break or to feed, relax in our cozy mother's room, complete with all the comforts needed to feel at home with your new baby. As baby grows, we welcome you back to capture your child's milestones in our "big kid room" and then complete his first year with a fun cake smash session!